The sixteenth chapter of Sefer Vayikra describes the details of the Kohen HaGadol’s ritual service in the Mishkan/Mikdash for Yom HaKippurim. The Kohen HaGadol goes back and forth, changing out of various sets of clothing, slaughtering certain animals, and using those animals’ blood to purify the Mikdash/Mishkan. The purpose of all of these rites is explicitly described in Vayikra 16:32-34. 32 And the priest, who shall be anointed and who shall be consecrated to be priest in his father’s stead, shall perform the cleansing (כפר), and shall put on the linen garments, the holy garments. 33 And he shall cleanse (כפר) the most holy place, and he shall cleanse (כפר) the tent of meeting and the altar; and he shall cleanse (כפר) the priests and all the people of the assembly. 34 And this shall be an everlasting statute for you, to cleanse (כפר) the children of Israel of all their sins once a year.’ And he did as the LORD commanded Moses. The purpose of the rituals of Yom Kippur is to cleanse the Nation of Israel and the Mikdash from the Impurity that their sins have caused. While it seems intuitive that Bnei Yisrael would need to be cleansed from their sins, it seems rather arbitrary and strange that the Mikdash and the Altar therein would need to be cleansed from the transgressions of Bnei Yisrael. How are the two connected? Answering this question requires delving into the cultural and historical context of Israel’s Impurity laws in general, and the Yom HaKippurim rituals in specific, which reveals the incredible power and importance they attribute to the actions of Bnei Yisrael. The entering of the Kohen HaGadol to the holy of holies on Yom HaKippurim is closely paralleled by the entrance of the King of Babylonia to the Temple of Marduk on the fifth day of Akitu, accompanied by the high priest. However, as with other such parallels, what is striking is not the large amount of similarities but the differences between the two sets of rituals. The most important difference in these specific rituals is who the rituals are focused on. Once inside the temple, the King would declare, “I have not sinned, O Lord of the universe, and I have not neglected your heavenly might.” The focus is entirely on the King and things he might have done. In stark contrast, the rites of Yom Kippur focus on the people themselves. “And he shall cleanse the priests and all the people of the assembly. And this shall be an everlasting statute for you, to cleanse the children of Israel of all their sins once a year” (Vayikra 16:33b-34a). Where the only person really valued by the Babylonian ritual is the King, the Yom HaKippurim service makes it clear that every member of Bnei Yisrael is important, and thus each and every Israelite must be purified. Above and beyond the specific rituals of Yom HaKippurim, there are important contrasts between the whole system of Impurity Laws as found in the Torah and those from the surrounding cultures. The various cultures of the Ancient Near East were full of such impurity laws, and they all shared a common purpose of fighting the demonic. In their mythologies, the gods were in constant struggle with demons, who drew their power from Impurity. Therefore any source of impurity, whether a corpse or a body emission or loose hairs and fingernails, aided the demons in their fight against the gods. It was for this reason that impure people were not allowed access to the temple, popularly thought of as the living space of the god, for fear that they would cause impurity therein and make the god of that temple vulnerable to the demons. In a case of a large build-up of Impurity in a temple, the god of that temple could even be driven away, forced out of their own abode. The yearly purification-rituals were intended to cleanse the temple of any impurities that might have developed anyway, and thus strengthen the god. The Israelite conception of Impurity deviates strongly from this. Instead of focusing on the demonic, the Torah’s purity laws express the great tension between Life and Death, with Impurity resulting from events and processes associated with Death. The most obvious example of this is Tsara’at, which, in addition to being a debilitating disease, causes the afflicted to resemble a corpse. Hence, when Miriam is afflicted with Tsara’at, Aharon pleads, “Let her not be like a corpse” (Bamidbar 12:12). The Torah sees impurity not as empowering some mythological demonic force, but as an expression of the profound tension between Life and Death. Thus when someone or something is impure and cannot enter the Mikdash, this is a function of sensitivity to the great value of Life. The laws of Tumah and Taharah, Impurity and Purity, are part of the Torah’s larger emphasis on Life, as seen in the command to the nation to “Choose Life” (Devarim 30:19). Throughout Sefer Devarim there is a profound emphasis placed on the value of Life and on Life as a goal of keeping the Torah. It is due to this emphasis that deliberate transgressions of the Torah create impurity that can be cleansed only by the rituals of Yom HaKippurim. Intentional violations of the covenant between Bnei Yisrael and ‘א create impurity that affects the Mishkan so dramatically that it has to have a special ceremony to remove it, rather than being removed by normal atonement processes. Where the various cultures of the Ancient Near East saw their gods as threatened by demons, the Torah says that ‘א’s presence is impinged upon by Death, and Man’s hand it it. When we break away from the Torah, we break away from a life-affirming covenant with ‘א, and we push away the presence of the Living God. It is reminiscent of an aphorism of the Kotzker Rebbe. “Where is God? Wherever you let him in.” The Yom HaKippurim rites in the Mikdash reaffirm ‘א’s desire to live amongst His People Israel. However they also make it clear that ‘א has made His being present dependent upon us. We no longer have the Bet HaMikdash, or the Mishkan, but the same is true in our own lives. When we affirm ‘א’s Torah, and when we embrace Life, we invite ‘א into our lives. But when we break away from the Torah we push Him away. Yom HaKippurim is a time when ‘א re-enters our lives, expecting us to have done our part to invite him back in. Throughout the liturgy of Yom HaKippurim, ‘א forgives us even before we do Teshuvah. He returns to us, it is up to us to empty ourselves of the things we have done wrong, and to return to Him. A step-by-step, in depth, detailing of the ritual is recorded in the mishnayot of Masekhet Yoma. For those uncomfortable taking such an approach to understanding the mitsvot, I would point out that Rambam applied this approach rather liberally in Moreh Nevukhim, and I would add that archaeology has shown Rambam to be rather correct in doing so. A little bit on this parallel can be found in this less than excellent Ha’Aretz article. 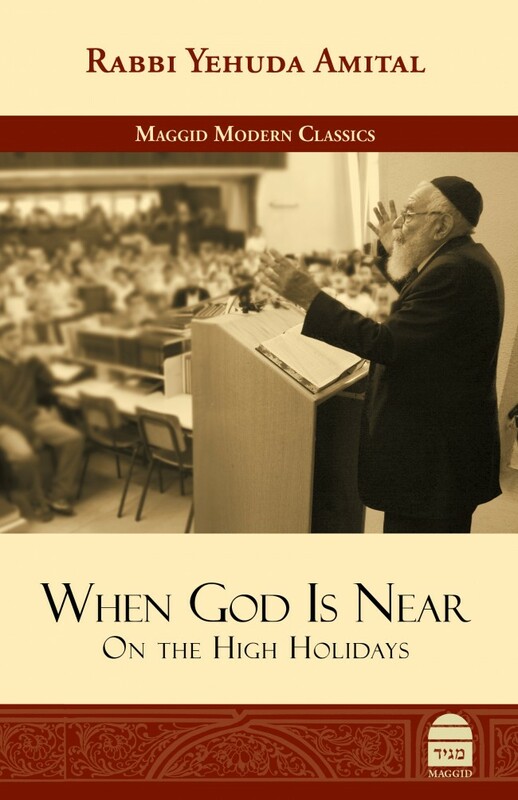 For a more comprehensive discussion with far better analysis, see the introduction to J. Milgrom’s commentary on Sefer Vayikra. For more, see J. Milgrom, “The Rationale for Biblical Impurity.” Additionally, see the introduction to J. Milgrom’s commentary on Sefer Vayikra. The Jewish Study Bible, Vayikra 16:1-34n.